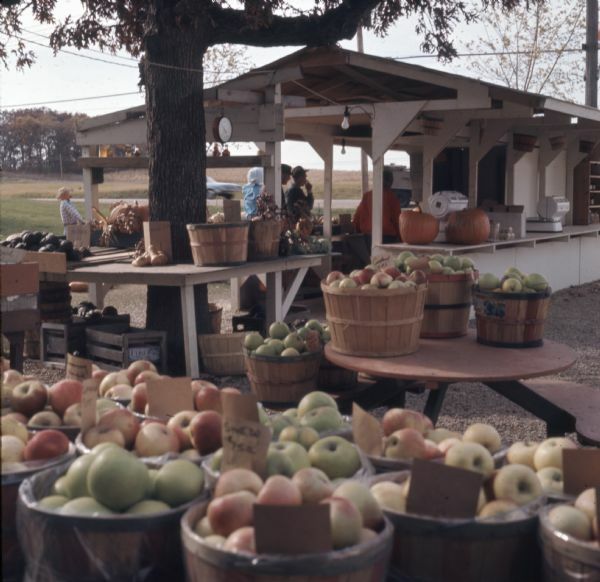 Bushel baskets of apples on display at a farm stand. Gourds, squash and pumpkins are sitting on a table built around a tree. People are standing in or around the open sided stand in the background. An automobile is traveling on the road in the background.